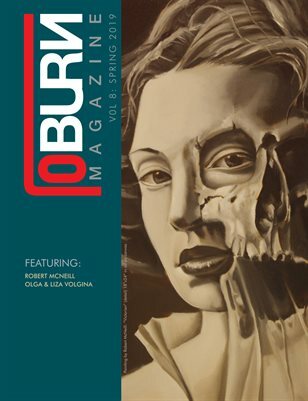 Submission of articles on unusual topics, all genres and mediums of art, photography, music interviews, and cultural interests are welcomed with an additional specific interest in skilled and/or unconventional. 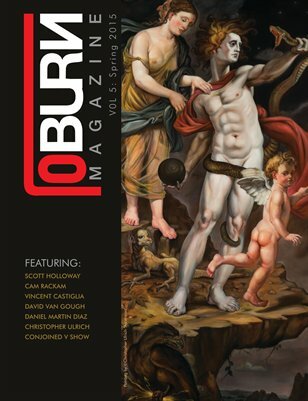 loBURN magazine under the artistic direction of loBURN. 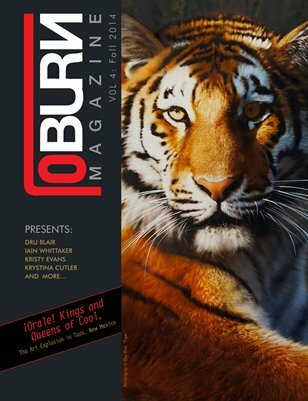 The layout for each article will reflect the overall vision of loBURN magazine and is decided by our staff. Submissions by email must not exceed 4MB. Multiple emails are welcomed. Please add in the subject line of your email your full name and numbered images. Please make sure you include the TITLE, media (ex. pencil drawing, oil on linen, acrylic, etc. ), size, and year of creation with each image. Images without full information will not be considered. Please send zipped files. We advise you keep a zipped folder in your computer records that is titled for quick access in the event of unreceived documents which we may request. Enclose information that relates to your work and may be of interest to the reader such as impending show dates or previous publications. Please read and re-read all information sent to the magazine. Check your information in advance to ensure proper spelling. There must be some web information, preferably a WEBSITE of your own or a gallery's website or a facebook gallery with whom you are related or represented by. This is a must if your submission is to be considered. 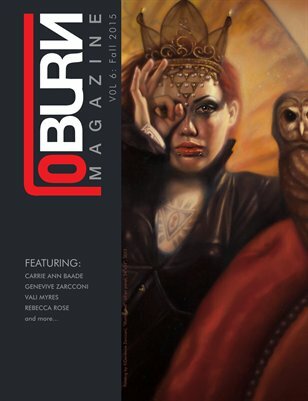 Artists, photographers, and writers are asked to submit 2 to 6 high resolution images, 300 dpi or BETTER for review. Please submit jpeg, pdf or tif format. If files are sent in low resolution, these images will not be considered for publication. Again: pay special attention to the quality of your sent material as poorly edited written material or excessive spelling errors, broken links, etc., will find your submission passed over. If images or files are framed, please send them without frames as well. Please do not send images with watermarks or anything added to the work which may obscure our view. If images are too large to send, we advise that you use Dropbox, Yousendit or other similar online services. When doing so, please make sure that your file download expiration is set at the minimum of 2 weeks in case we are too busy to open it immediately. Please send information about your website or online availability in the body of your submission. Due to many submissions we regret to say that not all can be published regardless of skill level. You are welcome to re-submit in the event that your work is not chosen for the next issue. If more than one email is sent, please try your best to send material consecutively and in short order so that our staff is not confused and is not inclined to overlook your material due to the complicated manner of your delivery. Again, please number your images during the submission process and also in the event of your agreed upon impending publication. the mighty disclaimer: loBURN is not responsible for any artwork that was misrepresented by the artist. We check websites and social network sites for artwork that was submitted as verification. If you feel that your artwork has been stolen and misrepresented by another, you need to contact that artist immediately and demand they stop using your artwork and that it be removed from their site. It is possible that we MAY be able to republish that issue or publish a statement on the site. 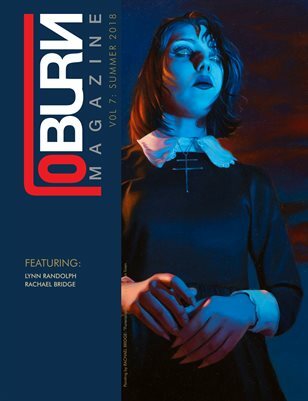 loBURN sends out proofs prior to publishing and will not put any artists page in the magazine that has not been approved. 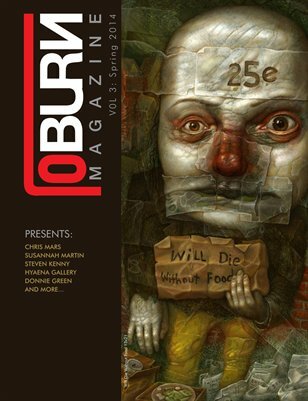 loBURN does not give any committed order or preference of artist in the magazine. Each page was created based on art submission and approvals received.